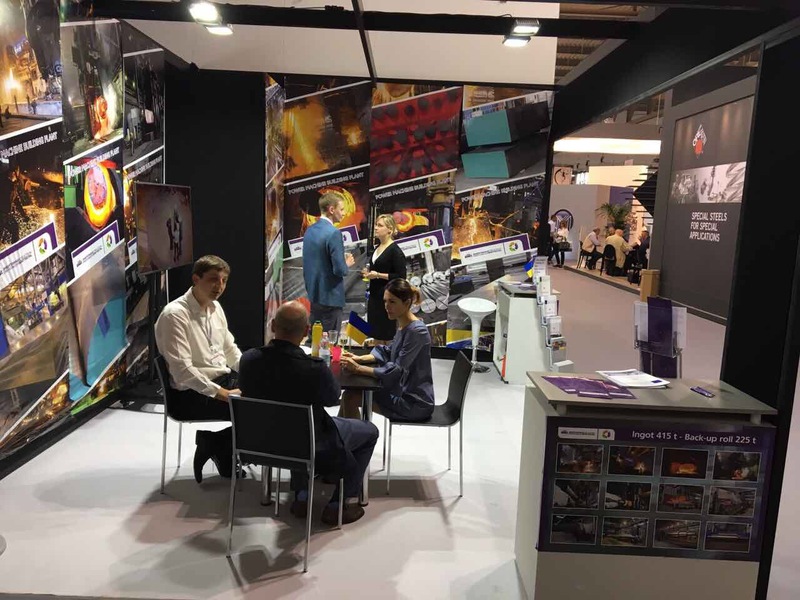 Energomashspetsstal took part in one of the key trade fairs of the European metallurgical market Made in Steel 2017, which was held in Italy from 17 to 19 May 2017. Alongside with leading metallurgical companies, the team of PJSC “EMSS” presented at the exposition stand the whole range of products and technology abilities of the enterprise. During this event the negotiations were held to develop cooperation with current and prospective customers of PJSC “EMSS” from all key metal consuming industries in Italy and other countries of Europe, Africa and Asia. Three days of the exhibition passed in a busy, active temp for EMSS. Lead specialists of EMSS took an active part in the business program Made in Steel 2017, which consisted of presentations, conferences, seminars and meetings, which allowed getting more total information about partners and competitors, to define the dynamics of supply and demand for one or another metallurgical product. Over 300 companies from Europe, the Far East and the CIS took part in the industrial fair Made in Steel 2017, which took place in the international exhibition center Fierra Milano, in the city Milan. It was involvedly more than 20 thousand consumers, such as representatives of metallurgical companies, pipe and hardware plants, manufacturers of metal structures, builders, mechanical engineers and other branches of the real economy.